Brett has been a venture capitalist for the past 20 years, and became concerned with global warming several years ago. He has focused on the role of tropical forests in global warming, serving as a Rainforest Trust board member for several years and promoting their large-scale conservation efforts. He co-authored a peer-reviewed Nature Climate Change paper demonstrating how tropical forest conservation and restoration could be as significant to mitigation of climate change as alternatives to fossil fuels over the next several decades. 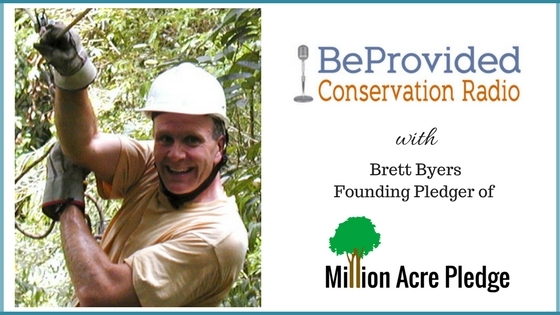 Via the Million Acre Pledge, he is working to motivate those with substantial financial means to make large-scale, results-oriented commitments to direct conservation.